In order to keep your Mercedes-Benz running in optimal shape, and to get the most years out of your vehicle, following the factory-recommended maintenance schedule is a must. Performing the various maintenance items at the recommended time will help prevent problems before they occur, saving you time, money, and hassle. Additionally, following these schedules will help keep your manufacturer’s warranty intact for the life of the warranty, and help maintain a high resale value. 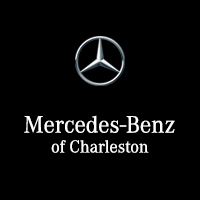 The following services are not included among Mercedes-Benz’s required factory warranty services, but are recommended by Mercedes-Benz of Charleston for the optimal longevity and safety of your vehicle. If you have any questions regarding the Mercedes-Benz mile maintenance intervals, or would like to schedule an appointment, please contact our service advisors online, call us at (304) 746-0500, or visit the dealership at 5 Dudley Farms Lane Charleston, WV 25309. We look forward to serving you and keeping your Mercedes-Benz on the road for years to come!